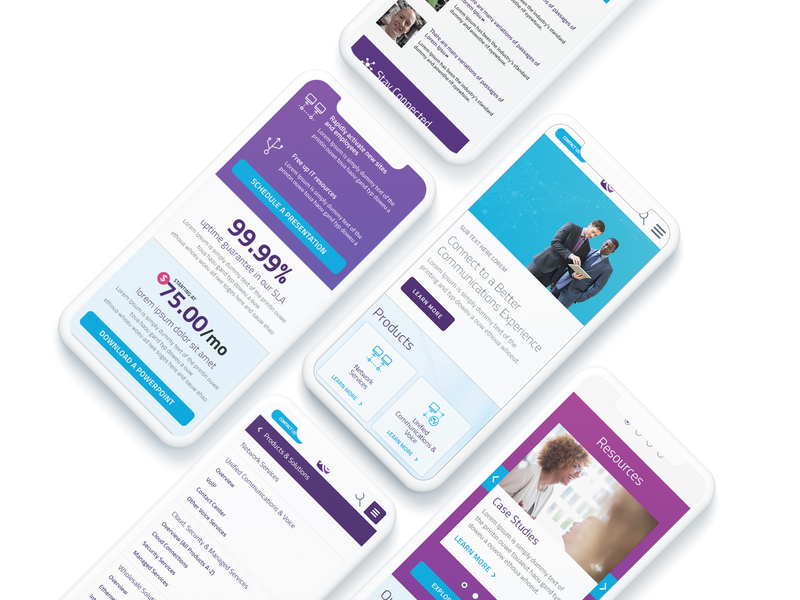 When XO Communications decided to refresh its digital platform with a new responsive user experience, it turned to Bluetext to lead the research, strategy, design and development phases of the project. The project began with a discovery, planning and technical requirements and functionality review phase to inform both user experience and implementation strategy. Bluetext conducted extensive user research and competitive analysis, followed by an extensive analytics and SEO review. We then met with key stakeholders within all of XO’s business units as well as customers to ensure that all preferences, goals, biases and expectations were considered in the discovery process. The results from the discovery process enabled us to create personas, product taxonomy, user journeys, analytics and KPIs that were critical guiding factors for the user experience process. 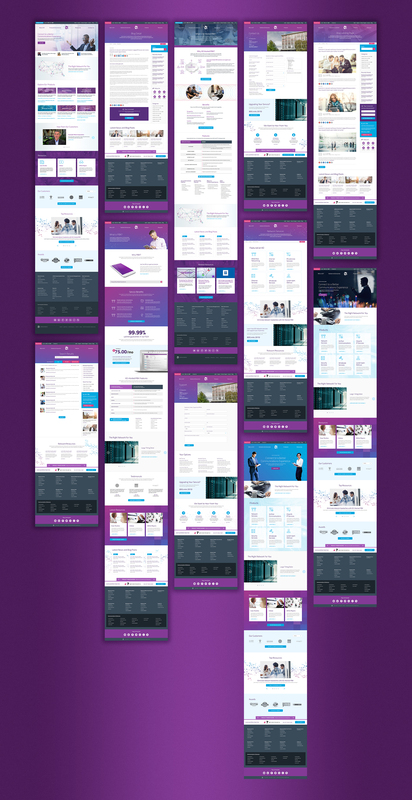 Leveraging insights from the discovery phase, Bluetext mapped out the approach for user experience, which included the design of more than a dozen fully responsive templates. In addition to the user experience, Bluetext built out an immersive and interactive 3-D Virtual Experience to drive further engagement and demand for XO’s vast portfolio of networking solutions. Built in Drupal 8, the latest version of the CMS platform, our modern design approach is clean, logical and user-friendly. 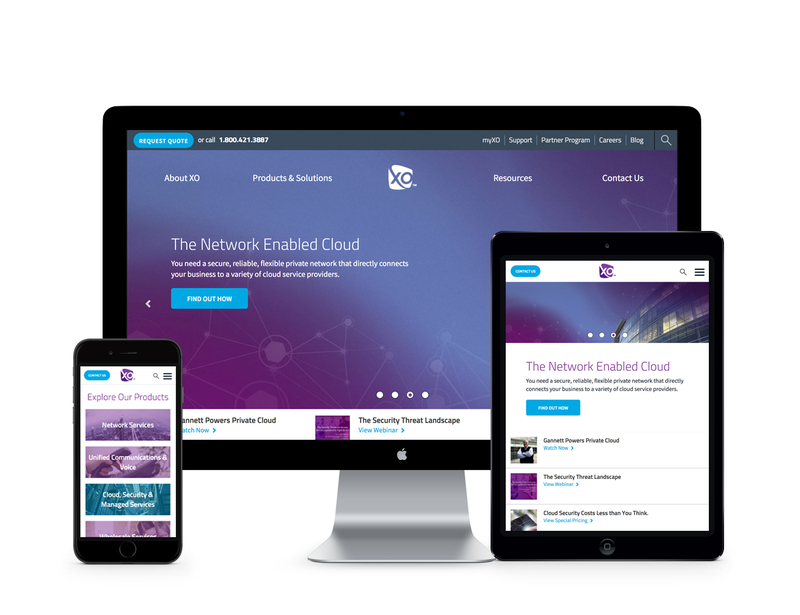 We focused on driving stronger calls to action, shortening the customer sales cycle and establishing XO as the benchmark of innovation in the enterprise networking and communications space. With XO, cutting-edge campaigns means reach to its customers. We can do the same for you.